Fitness: How to teach kids ice skating? Kids getting antsy during the long winter season? Instead of them playing video games indoors, get them outside to ice skate! How to teach them? 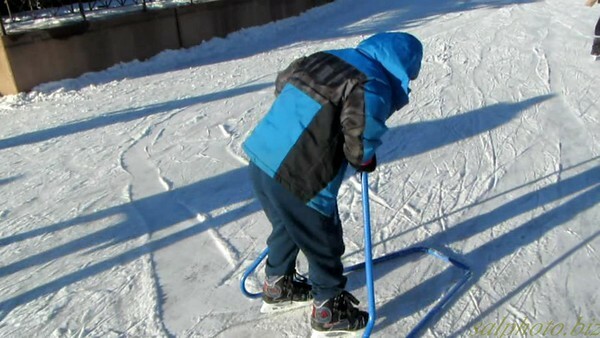 When I took my 8 yr. old nephew to the John Oval in Roseville (Minnesota), one of the first tips I gave is how to dress. I asked him if he had the right pair of gloves. It’s better to have “water resistant” gloves instead of the material that might soak water. In fact, my nephew was wearing jeans. I told him it would’ve been better to wear wind pants over his jeans or snow pants as an alternative. This is because when you are skating for the first time, you’ll fall and get ice all over. Thus, it’ll melt and go through your “non-water resistant” pants. The child might get wet and start getting cold, which might get him/her sick. “..Ice skating is a fun activity that gets kids physically active and teaches them a lifelong skill. Get started teaching your kids with these 5 tips. When we got on the ice, I told him to watch how I do it. I would show him baby steps and then asked him to copy. Another alternative is to have him/her use those skating “walkers”, which I would use the second time we went ice skating later in the week (see pic below )..
“..It’s winter — prime time for bringing little ones for their first spin in an ice rink, either one of the holiday rinks or one of the indoor rinks that operate year-round (see our list for where to go). Any other tips do you recommend? Suggestions, comments, feedback, etc..?